This rather magnificent Marbled White caught my eye this morning on my way to work so I had to stop to take a closer look. The species has a curiously restricted range. As my RSNC Guide to British Butterflies explains there are a small group of colonies in the Yorkshire Wolds and others near the South Wales coast. It is common in the unimproved fields of the North Downs in Kent but absent from the same downs in much of Surrey. 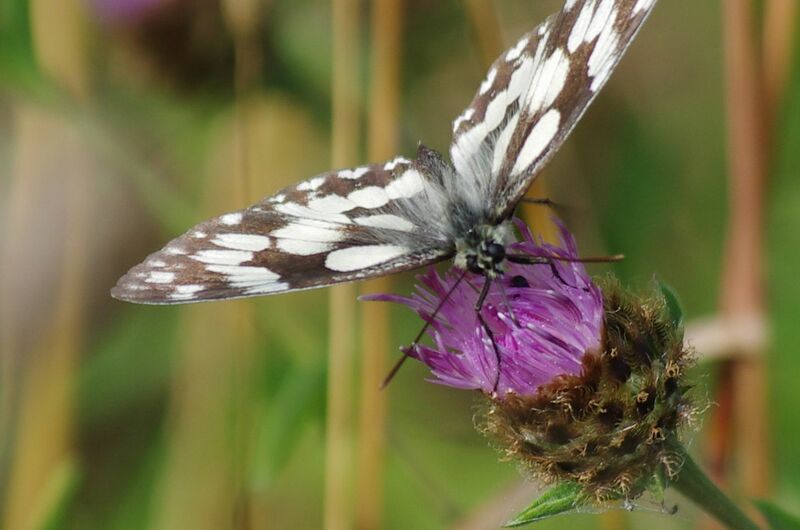 In Sussex it is restricted to the South Downs, yet further west it is a common and ubiquitous butterfly of unfertilised grasslands and woodland rides on most soils throughout central southern and south west England, except for south-west Cornwall. Colonies were once much more widely distributed in the east Midland, East Anglia, Lincolnshire and Yorkshire but nearly all are now extinct. 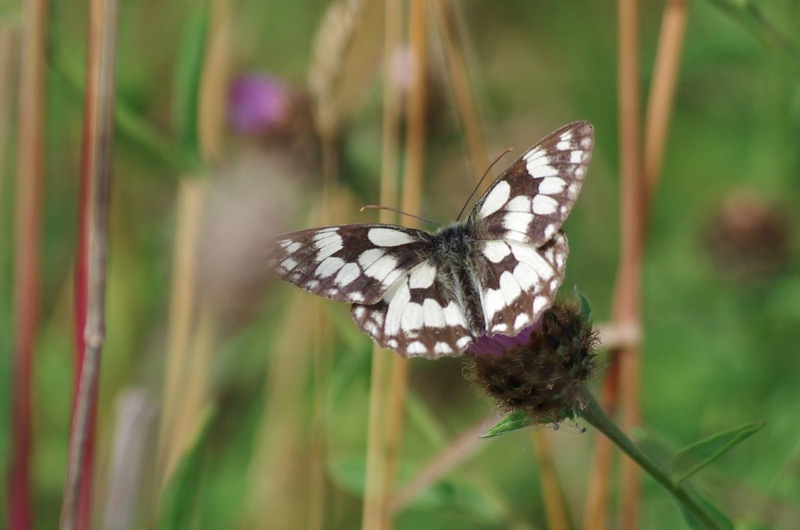 Widespread losses have also occurred within its main range, due largely to agricultural improvements, but happily it remains a common butterfly in southern regions, and perhaps a developing stronghold in this part of Hertfordshire.